I got 3 proof copies of my first book in the mail on Thursday! 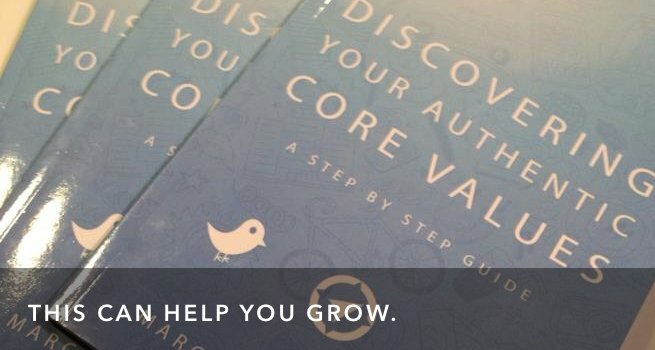 It’s a little guide called “Discovering Your Authentic Core Values.” In 70 pages it walks you step-by-step through a process of discovering the core values that are already authentic to who you are. You use a calendar to make sure your time is used effectively. You might even have a budget to make sure your money is spent according to your agenda, not others. Why not think about what matters to you with the same intentionality? I’m very excited to share this with you. I’ll be announcing a launch date soon.